5 JUNE 2017, SINGAPORE – WWF and conservation groups are calling for urgent action on a disturbing trend in Southeast Asia’s illegal wildlife trade: elephant skins. Demand for elephant skins has caused an unprecedented surge in wild elephant killings. 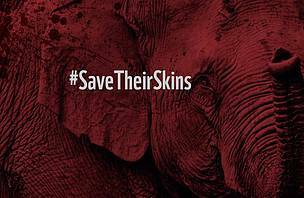 WWF is now urging for international action to #SaveTheirSkins by supporting efforts in Myanmar to halt these killings and protect the remaining wild elephants. Elephant poaching rates in the first few months of 2017 alone have surpassed the yearly average for Myanmar, leading WWF to label this a crisis. At least 20 wild Asian elephants have been found killed and skinned from critical habitats in the low-lying terrains of Bago Yoma and Ayeyarwady Delta. The expansion of demand for elephant parts beyond ivory to skin has further escalated a dire situation as population numbers in Myanmar plummet. Poachers are not just targeting males for their tusks, but also mothers and calves for skins. Elephants are shot by poisoned darts, experiencing a prolonged and gruesome death before being skinned. With Myanmar undergoing rapid economic transformation, improved infrastructure across the country can inadvertently assist the illegal wildlife trade. Better connectivity to critical habitats now gives poachers easier access to wild elephant populations. “We are witnessing the perfect storm for wild elephants in Myanmar. A sudden increase in the skin trade fad has been driven by growing Asia-based demand, compounded by weak law enforcement and fuelled by borderless illegal syndicates operating across Southeast Asia. We urge people and governments across this region to come together to support increased protection for the last remaining wild Asian elephants in Myanmar and beyond,” said Dr Christy Williams, Country Director of WWF-Myanmar. WWF and conservation groups are seeking immediate international support to increase protection for the remaining wild elephants through the deployment of trained and well-equipped ranger squads to priority areas. These ranger squads will also have authority to make arrests. Currently, inadequate enforcement measures and a lack of ranger training and resources leave wild elephants vulnerable to poachers. 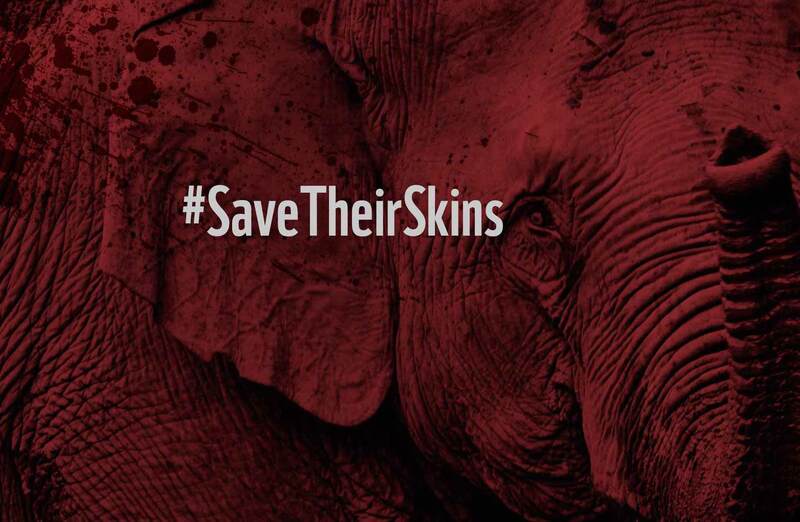 Details of the appeal are available on www.savetheirskins.com. WWF is also working closely with the government and stakeholders to stop the sale of elephant skins and other illegal wildlife products in key markets across Myanmar. Visits by WWF to popular tourist markets have identified elephant skin as a commonly sold product. Elephant skins are believed to cure certain diseases, or worn as lucky jewellery. A long-term solution to the pervasive illegal wildlife trade across Southeast Asia, is the shutting down of key markets that drive this trade. A large proportion of this lies within Greater Mekong, including the infamous Golden Triangle, which spans the lawless border regions of Myanmar, Laos, Thailand and China. Under the control of multiple armed groups, illegal trade of all forms thrive, including wildlife products. Myanmar is Southeast Asia’s second largest stronghold for the Asian elephant, after Thailand. Wild Asian elephants populations are plummeting in Myanmar. There are an estimated 1,400-2,000 elephants left in the wild but actual numbers could be far lower.